The convergence of health and smart technology are not only changing the way we think about healthcare, but also the future of life as we know it. By 2028, it is expected that one in three people will live beyond 100 years. Not only will driverless cars be the norm but people with locked-in syndrome will be able to drive these vehicles by using their thoughts to provide instructions. They will be able to control their world. The average person will be a 34 year old Indian male. Over the last couple of days, I have attended the 2015 Healthcare Congress where the importance of technology has been discussed by the majority of speakers. Futurist and keynote speaker, Craig Rispin, talked about the massive amounts of money being invested into health sciences by leading technology companies, Apple and Google. Some of the more obvious developments in these areas are wearable devices such as the Apple Watch, but what's more surprising is what is happening behind the scenes. Google X is a semi-secret facility being run by Google to make technological advancements. One such advancement is to baseline the human body, to create a picture of what a healthy human body should be. Never before has there been an example of a perfect human body that can act as a reference point. Comparisons can then be made to aid in the early detection of illness. This will enable future intervention at the onset of disease. 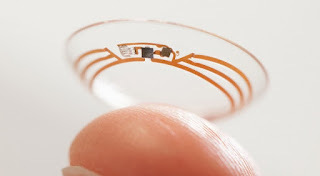 Another research project undertaken by Google is the Google Contact Lens. This lens allows tear fluid to seep into the lens where it can then measure the body's blood sugar levels. Technology like this will allow us to have a better understanding of diseases like diabetes. Not only will we be able to know if medical assistance is required, but when this information is linked to other data sources like food and exercise, the patient will be able to make lifestyle decisions affecting their personal wellbeing. The world of the unseen is providing new opportunities as we aspire to know more about our bodies. By unseen, I mean what is beneath our skin, but I am also referring to the fascinating world of nanotechnologies. Dr. Michelle Dickinson of the Nanomechanical Testing Laboratory at The University of Auckland, provided insight into research that involves nanoparticles that aren't visible to the human eye. Research centres around the world are looking for ways to replace needle vaccinations with inhaled medicine for respiratory diseases such as the flu, pneumonia and tuberculosis. In the future, it is predicted nanotechnology will be used as a tool to gain near real-time insight into what is happening in the human body. With the ability to inhale or snort nanoparticles, information about diseases will be collected as particles use the blood system to traverse the human body. Today, young people appear to have less regard for privacy, yet the amount of personal information being shared is set to increase. The above examples of research enable the ability to gather masses of personal data. Humans are participating in what is nothing but a 'Data Tsunami'. We want to be able to collect data so that we can understand the world around us. However, data that stands on its own has little value. When this data is shared, however, it can be analysed to help identify trends that will lead to further investment and medical advancement. It will be interesting, therefore, to see how this data is managed and controlled. It's time to rethink the term 'midlife crisis'. As technology is helping to advance healthcare, life expectancy will also increase. If you thought you were running out of time to achieve all that you want, it might be time to think about bigger goals and achievements. It sounds like you may have more time.